The EmbedAlbum can showcase photos in a lightbox mode. 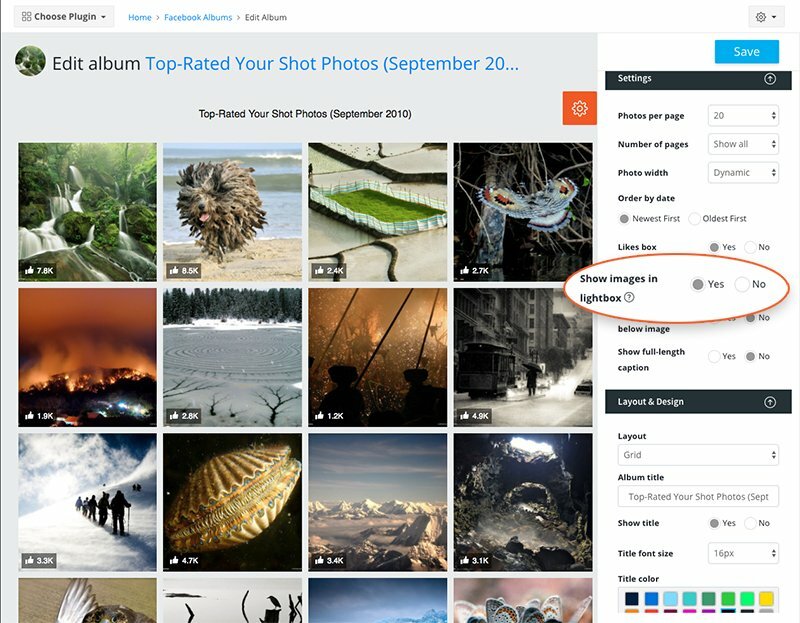 This mode is activated once a user clicks on a thumbnail and the photo displays in a full screen with options to browse in that mode through all photos in that album. In the left options bar, find the option ‘Show images in lightbox’ and check the ‘Yes’ option.